Today I bring you a product review. This product is pretty popular among naturals! I’d been hearing so much about this product and its awesomeness and I just had to taste the soup to know if it was indeed delicious. I can’t say much for it’s claims towards heat damage, split ends, frizz and breakage as those aren’t necessarily concerns of mine. But it lives up to its claims about dry, coarse hair becoming softer and more manageable. This product does not discriminate! It is for all! As a matter of fact, my sister and cousin(both relaxed) keep stealing out of it both for their hair and their weaves. So this product aims to accommodate you no matter your hair type. Thank you copy and paste! (But I had to go through to ensure it was correct so I did some work too). As you can see, the first ingredient is water which is great(if not necessary) for a leave in/moisturizer. It’s also full of ‘beta beta'(great) ingredients! I tried to highlight the ingredients that I thought people might be avoiding. It has Glycerine in case you’re staying away from humectants (i.e things that pull moisture into your hair). It also has silicones and mineral oil but they are at the bottom of the list which means the product contains little of them. I recently learnt that some people stay away from Propylene Glycol so that’s why I’ve highlighted it in case. 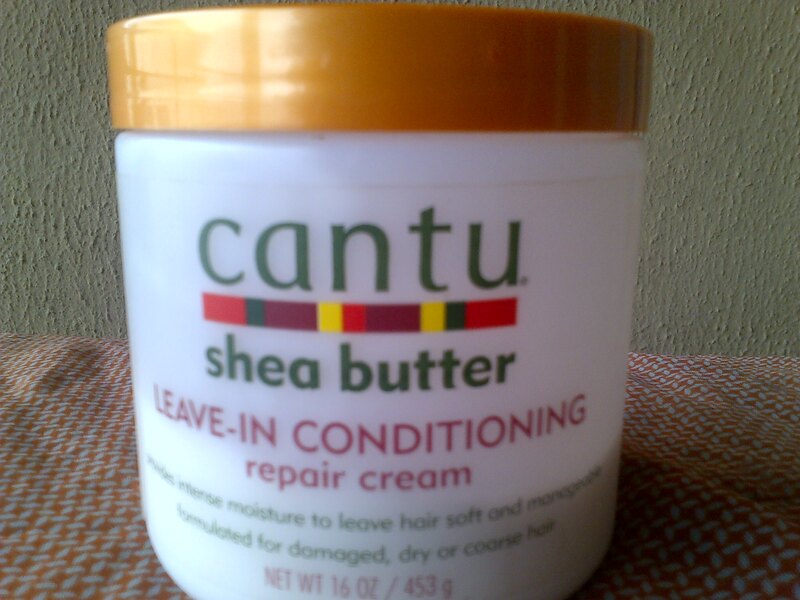 How I used it: I used this mostly on freshly washed hair( As the ‘C’ in the LCO method. Tried it as LOC too but it worked better as LCO for me). Also used this on damp hair(lightly spritzed with water) during the week. Also on dry hair. Out of all, my favourite is the freshly washed method. My hair stays moisturized for days and I can refresh it by spritzing with water alone or spritzing with water and sealing with oil/shea butter. My least favourite method is on dry hair as it takes time for my hair to absorb it this way(which may leave white patches for some minutes) and it leaves a weird feeling too(sticky? Squishy? Not sure). 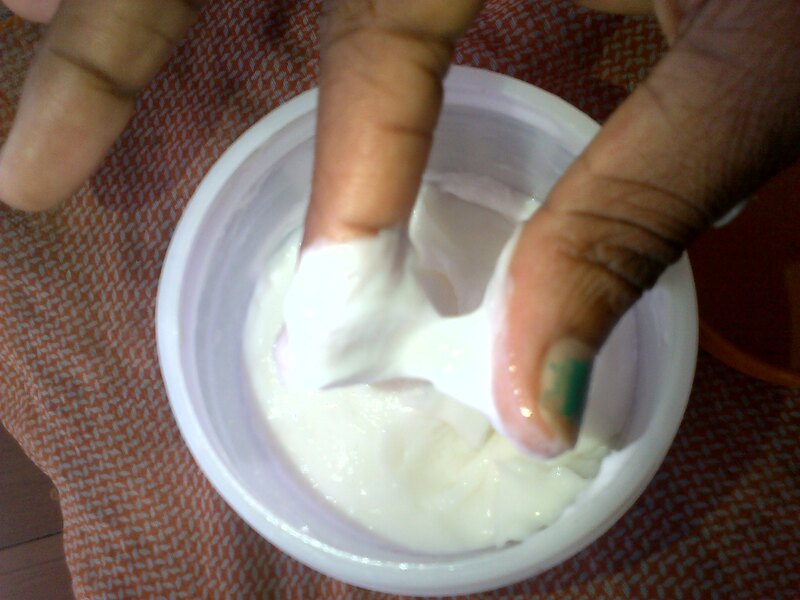 –Moisturizing: Moisture that actually lasts! Someone told me my hair felt like a cloud! My sister loves this stuff because she says it makes everything soft; as I mentioned earlier she and my cousin tend to steal it for their relaxed hair and their weaves. –Good Scent: I know scents are relative and depend on the “smeller” but I love the smell of this stuff! It smells sweet and floral. I was really surprised when I saw that fragrance wasn’t among the first few ingredients. My favourite thing about the smell is that it helps me catch anybody at home who uses it without my permission *evil laugh*. –Value for money: This stuff comes in a big tub(16 OZ/ 453g). And a little goes a long way with it. So it lasts. If you are heavy handed sef, it leaves a weird feeling behind for you. So you best use it in moderation. Ingredients: There are some chemicals in it with names that they probably only use for spelling bees at Harvard. It also has mineral oil and silicones. On the flip side, it has some good ingredients as well and the good ones are higher up the ingredient list than the bad ones. Price: Price of course is relative as one man’s 1 million is another man’s 1 kobo. But this stuff is not for team cheapskate. It ranges between N1800- N2500 depending on where you buy it. Absorption: It takes a while to absorb into the hair mostly when used on dry hair and low porosity hair. Also leaves a weird feeling if used heavy handedly or on dry hair. MY RATING: 5/5. It has lived up to the hype and attained staple status for me. I’ve even gone on to tell my friends, both relaxed and natural, to try it. I hope my reviews are helpful to you guys. I know I don’t really go into the sciencey stuff but I try to make sure I’m honest and I relate to you how my hair felt with the product. I was in Accra recently and I picked up 2 or 3 things that I’ll share in a post soon hopefully. I’m also currently in self-made crochet braids (yay!) and I will post about this also. I’ve also opened a Youtube channel! I haven’t posted anything yet but I’ll keep you in the know. I’m also considering doing the blog’s first giveaway; it’ll probably be a small one though. Anything eventful happening with your hair lately? New styles? DIYs? Products? Anything at all? Do share! « When are you making your hair? I noticed they changed their packaging- but it appears the formula has also been tampered with because I still have half a tub left of the old one, and there’s no mineral oil there. Why, Cantu, why? Anyway, it’s good to see it way down the list, and from your review, it still works! Yes, I noticed the ingredients I saw on most sites were different from mine. Shea butter used to be No 2 on the list. Didn’t even notice the packaging was different too. Why did they have to be cheap and throw in mineral oil *rolls eyes*. Thankfully, it works even with the changes. LOL! Your like is duly noted and well appreciated! Thank a million! ur the best!